Otoplasty, or correction of prominent ears, is a commonly performed plastic Surgery procedure in children and to a lesser extent in adults. It is designed to reduce large or protruding ears by setting them back closer to the head as well as correcting the shape of the ears to more aesthetically pleasing, natural & even appearance. 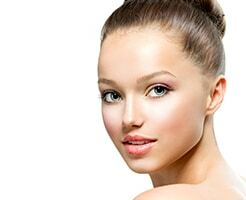 Generally, Otoplasty is postponed until the ears have undergone most of their growth. This is usually at the preschool age but of course the operation can be performed at any age after that, even in adulthood. Generally, ototplasty is postponed until the ears have undergone most of their growth. This is usually in the preschool age which also prevents the child being teased at school. Of course the operation can be performed at any age after that, even in adulthood. After the operation, the head is wrapped in a surgical garment (like bandages) which needs to stay intact for a week. After a week this is removed and a special Head band is worn at night for a month. You can expect the ears to have some bruising and swelling which generally subsides 1-2 weeks after operation and there may be some skin puckering that may take a couple of weeks to a month to settle. It is usually recommended that patients take about 7-14 days off school or work, yet vigorous physical activity is discouraged within the first 4 weeks post operation. Otoplasty has an Item number and patients, although certain criteria must be met in order to use the item number. If the item number is applicable, patients will get a rebate from Medicare and their health fund and the hospital costs should be covered by private health funds depending on the patients’ level and type of cover. At the first consultation Dr Safvat and his team will assess your eligibility for the item number and discuss all the costs associated with Otoplasty Surgery.